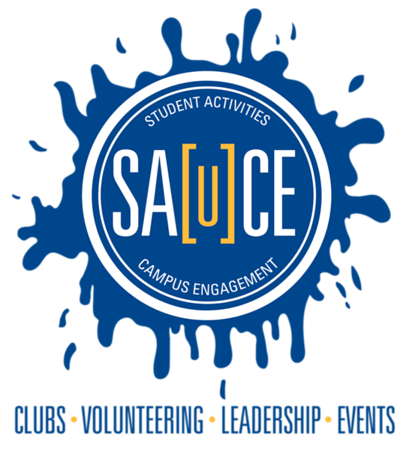 Mix the ingredients, craft your Sa[u]ce With Student Activities And Campus Engagement! Students who participate in campus life opportunities discover a learning laboratory for gaining essential personal foundation. Engaging through student activities is personally rewarding and provides opportunities to meet other students, develop relationships, promote change on campus and explore new interests! We like to say you can experiment with different ingredients, and create your sauce! The Office of Student Activities and Campus Engagement (SA[u]CE) strives to create a vibrant, purposeful, and supportive college community where students make a positive difference, develop healthy and meaningful relationships with others, are empowered to take action, learn about themselves, and develop leadership and lifelong skills. Get the latest on upcoming student events, or learn how to organize your own event on campus. Meet the staff at the Student Activities and Campus Engagement office.